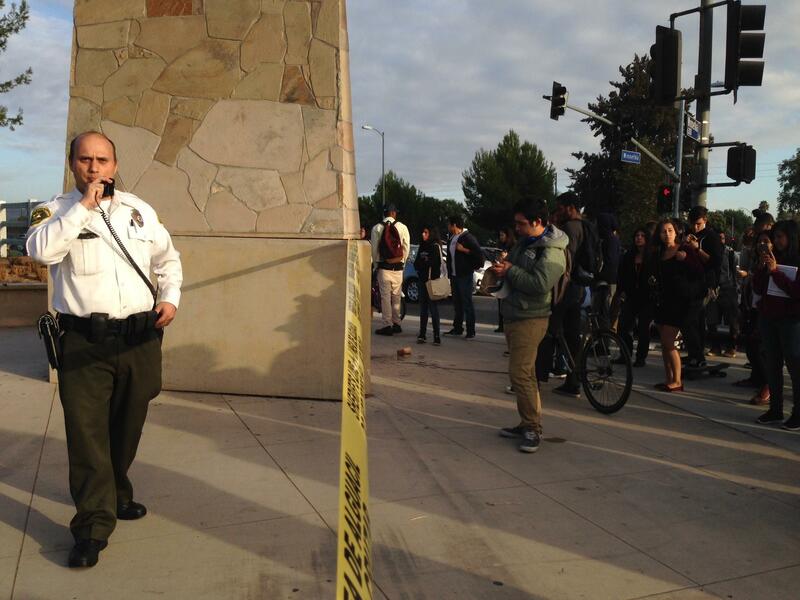 Billy Guzman, Sheriff’s security at Valley college is assigned to shut down the campus entrance of Winnetka and Victory Blvd. after a suspected threat through Facebook that could potentially put students lives at risk on Oct. 16 around 8 a.m. Authorities arrested the 26-year-old, male suspect and former Pierce College student in connection to the threats made on social media. The Sheriff’s Department has not yet released the identity of the suspect. The man was arrested at work and has firearms registered in his name, including an automatic rifle, according to Cpt. Cheryl Newman-Tarwater. Campus has been re-opened and all classes 3:30 p.m. and after will resume as usual, according to Pierce College President Kathleen Burke. Sheriffs warned students on campus via loudspeaker patrol that classes were canceled and to leave campus immediately under orders of evacuation. “Campus locked down for precautionary measure due to possible threat,” Cpt. Cheryl Newman-Tarwater with the County of Los Angeles Sheriff’s Department said. According to the Sheriff’s they have the identity and his car’s make, model, but are unsure if he is on campus. Sheriff’s will be conducting room-by-room search throughout Pierce. Students, faculty and staff were evacuated from Pierce College because of a threat made on Social Media, according to Sheriff officials.